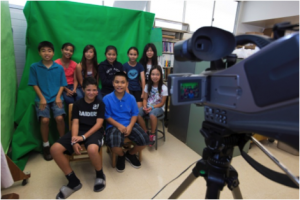 For several years, CDPHPD’s Healthy Hawaii Initiative (HHI) has sponsored the “Start Living Healthy” category of Olelo Youth XChange video competition. 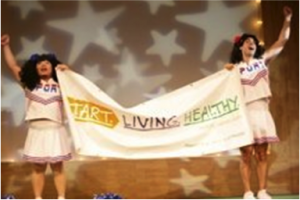 The “Start Living Healthy” category engages elementary, middle, and high school students in messages about healthy living, by giving them a voice to speak out on health issues that are important to them. Students are given a topic, such as “Junk Food” or “Getting Active,” and asked to develop public service announcements around that topic. The category continues to be a favorite among students. An awards show is held to announce the winners and finalists, and the winning videos are featured on Olelo Community Television. CDPHPD’s HHI also works with the Honolulu Theater for Youth to reach Hawaii school children across the state through live theatre that is entertaining and informative. 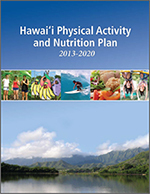 Plays and playlets incorporate messages around healthy eating and active living. Last year, the HHI-sponsored production reached over 15,000 school children.